1Set the grill to medium-high. Husk the corn. Grill 10 to 12 minutes, turning often, until charred in spots. 2Transfer to a cutting board and set aside to cool. 3Cut the kernels off the cobb. 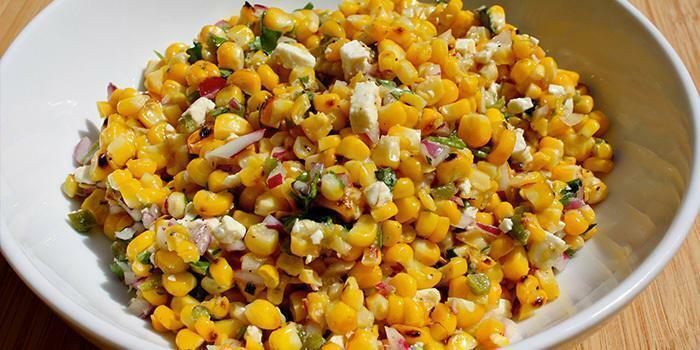 4Put the corn, red onion and cheese in a medium salad bowl. Drizzle with the olive oil and toss. 5Add the fresh herbs and toss again. 6Add salt and pepper to taste.